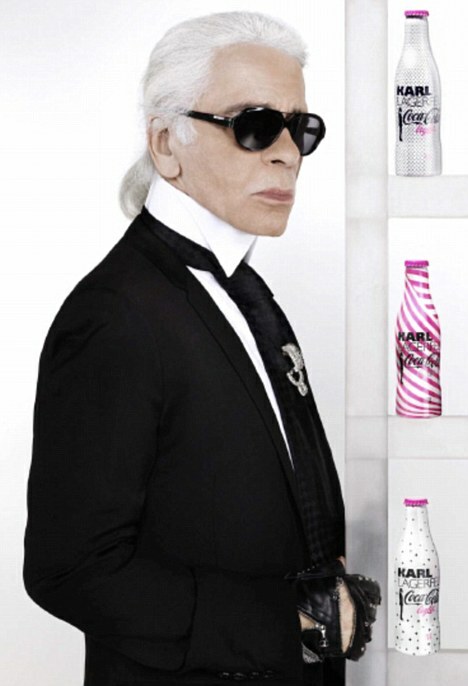 Now we can all have a bit of Karl Lagerfield in our lives. Limited edition Diet Coke bottles designed by their most famous fashion fan are now available at Harvey Nichols. I’ll be opting for the white bottle with black polka dots and Karl’s famous silhouette. Us mere mortals will drink ours from the bottle with a straw… Karl is rumoured to have his delivered to him by his own butler in a Lalique crystal goblet. Karl celebrated the launch of the bottles on the roof terrace of the Pompidou Centre in Paris, naturally. Now I can sip my diet coke knowing that my caffeine addiction is finally chic.